5 old products for the new year! The last Veganuary beauty blog for the last day of January! This product is one I love for my freelance kit. It’s from an amazing cruelty free brand that are well worth looking at for a good range of high quality products. 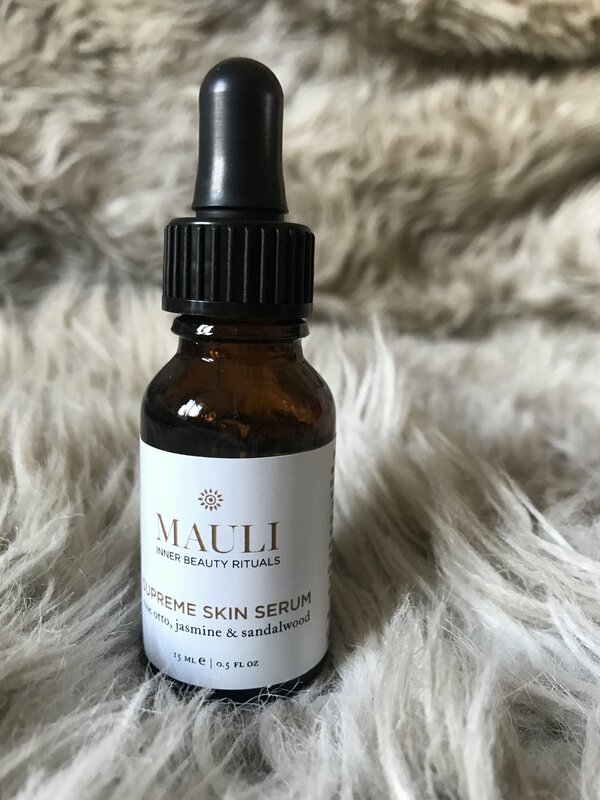 This provides a good balance of hydrating while keeping skin matte, which is great for a more oily skin type; or just placing through the t-zone for combination skin. It’s also worth mentioning that on my very dry skin it didn’t feel tight and make my base last well. This could be because the formula doesn’t contain talc or perfume so shouldn’t feel reactive or uncomfortable on most skin types. It does feel very soft when applied and gives the skin a smoother effect so will work well if you struggle with open or large pores too. Admittedly at £30 it isn’t the cheapest product out there, but I think the product does live up to the price! I am really really excited about this one. If you are into beauty and skincare then you probably know about Alex Stenheirr, and if you don’t look her up! She is super knowledgeable and personable. Recently, she launched a collection with Primark which is all cruelty free and vegan. I couldn’t wait to try products that teamed her expertise and Primark prices. I have tried a few products from the collection which is split into ranges to tackle your skin needs. So far I have liked everything, but this is one of my favourites! 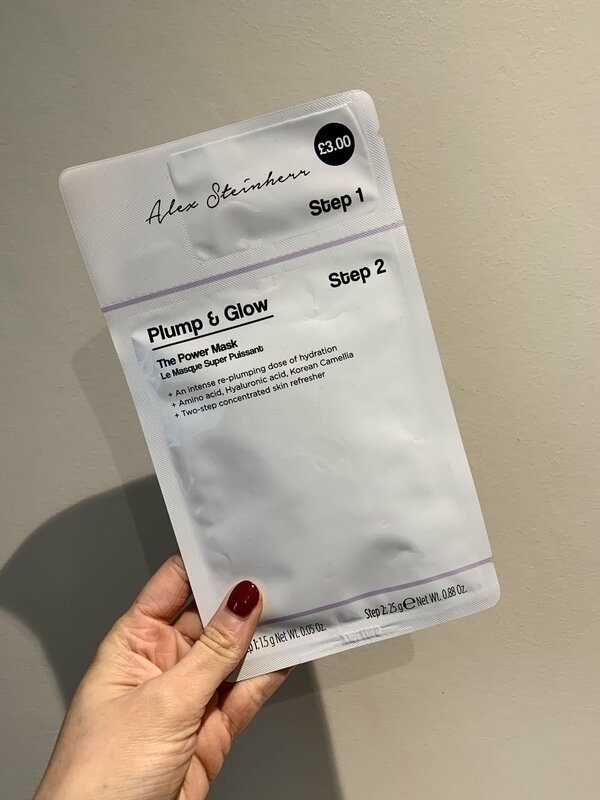 Plump and Glow Power Mask contains a serum and a sheet mask. The serum is applied to skin and the sheet mask is placed on top. I left mine on for around 20 mins and patted the mask to help activate the serum as it was locked in under the mask. This made my dry skin GLOW! It felt like an instant skin fix that actually worked, and the effects were long lasting too. The only thing that was irritating was trying to keep it on my face, but this is a common issue with sheet masks without hooks for your ears; at £3 I’m really not complaining. The range is only available at select stores, but hopefully with success this will be extended! I’ll definitely be sharing some more reviews of the Alex Steinherr X Primark collection soon! My next vegan beauty spotlight is for a product I’ve recently started using and really like! It’s especially good for those of us who want to look like we’ve been sunning in Barbados not stuck in Bognor! These self tan drops are the first product from Tanologist that I’ve tried. They are super easy to use and a great way to tan evenly as you just mix it in with your normal moisturiser. It isnt completely free of that fake tan biscuit smell, but it wasn’t so strong that it bothered me either. Most importantly the dha content in tan usually dries my skin out with one use, but this was absolutely fine. I didn’t use a mitt to apply, but I was also lazy and didn’t wash my hands properly either the first time I used it so I deserved the orange hands. Since then it’s been stain free with just washing my hands thoroughly with soap after. I didn’t even exfoliate before I used this so it definitely works for a faff free and slightly less smelly tan! As you know if you’ve read this blog before, I always focus on cruelty free products, but as an extension of Veganuary (I’m trying to start this year as ethically as possible!) I wanted to highlight some of my favourite vegan beauty products this month! Ok so detox, dry January blah blah, everybody knows healthy skin is important and the festive period isn’t the most kind to our complexion. But we also all know that it’s cold and dark outside, we may seek refuge in the pub, and when we get carried away with the quiz, have too many wines and order a pizza at 1am our skin will not thank us. So a little help is always welcome! 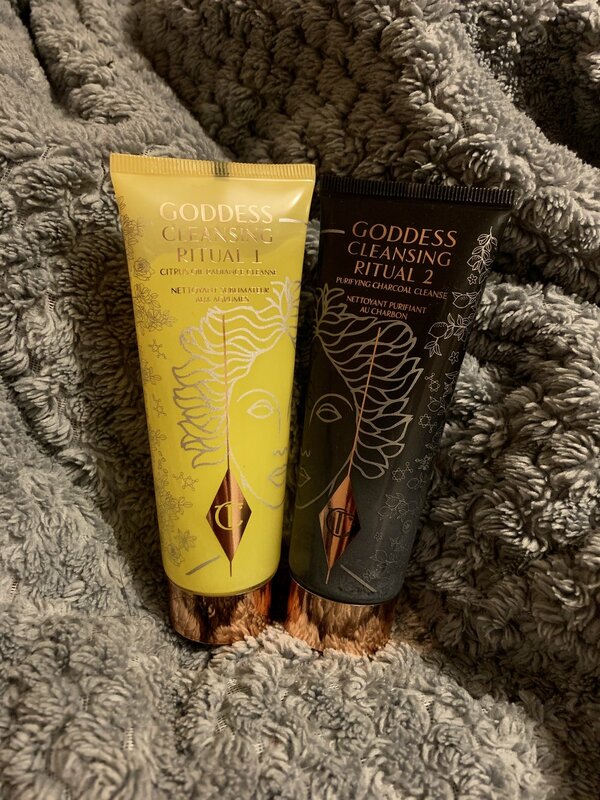 Charlotte Tilbury have just released Goddess Cleansing Ritual and I honestly love it. The first ‘ritual’ is a citrus oil based cleanser, designed to boost radiance. The second ‘ritual’ is a bamboo charcoal cleanser to purify. The muslin cloth included is a double mesh, so helps to exfoliate and holds warmth for longer than usual. The first is going to make your skin super soft and glowy, it will get the day off of your skin without harshly stripping it. My favourite ingredients are inca inchi oil and bacuri butter, these can help to work on improving the barrier function of your skin, and battle the effect that free radicals (sun, pollution) have. Vitamin C has antioxidant properties that will also help with this, as well as brighten the skin. The second is designed to soothe and purify your complexion. The charcoal will help to pull impurities from your pores, and Nordic beauty peat will help to rebalance your skins oil/dry content. I like to massage ritual one onto my skin when it’s dry, it’s safe to use over eyes so will melt most of your makeup off, although sometimes I need to go back into my eyes with an oily eye remover cleanser. Then when your skin is damp use ritual two, avoiding your eye area. If you prefer less exfoliation with the muslin cloth wash step one off in the shower and buff step two off with the cloth! It is so so worth spending an extra minute double cleansing, my skin feels amazing everytime I use this. It doesn’t dry out my skin at all, and it has really helped to lift dark spots and calm blemishes. Yes, this is more expensive than your Superdrug buy but a good cleanser can transform your skin! A little early Christmas present from me to you! Here’s some products that I used for the first time this year, and loved so much I won’t be giving them up in 2019! As always, all products are cruelty free. This serum is an absolute saviour. Massage it in to skin morning or night and your skin will feel soothed and glowy. I find this reduces redness and calms blemishes and a tiny amount goes a long way. 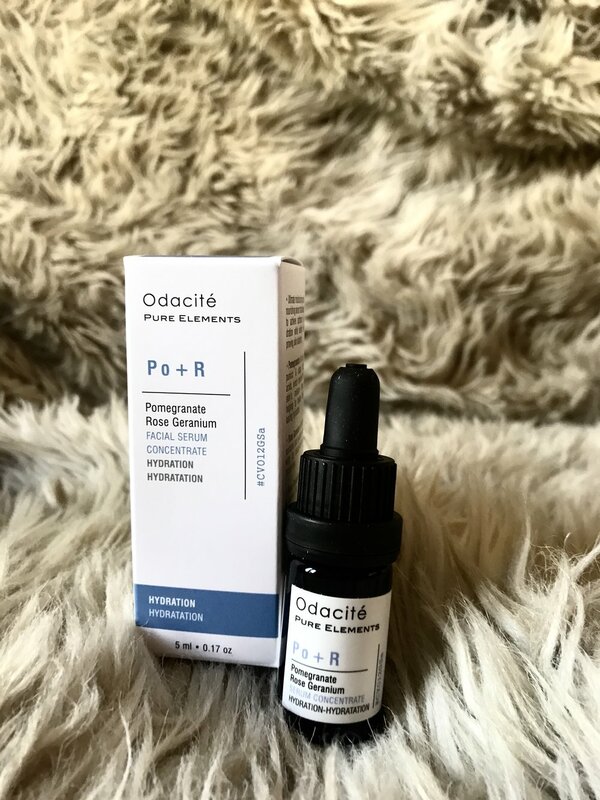 The first product I tried from a really interesting brand, a light oil that is great to wear under makeup for a longer lasting complexion and lift dull skin. I loved this for prepping bridal skin this year! Use at night if you prefer. The powder that will make people ask how you manage to look so glowy, so don’t worry about all the Christmas wine and just buy one of these! Make your makeup last longer while keeping your skin looking natural and avoiding a talcy cakey look. This has my favourite smell of any skincare I’ve ever used, and it’s absolutely incredible. When skin feels dehydrated pop some on as a treatment before bed, or use in the morning mixed with your usual moisturiser. Your skin will immediately feel so much smoother and more hydrated. I HAD to include this. My favourite eyeshadow palette ever. The pigment is amazing, and the colours and different formulas are incredible. Apply with your fingers for intense sparkle before buffing our edges with a brush. 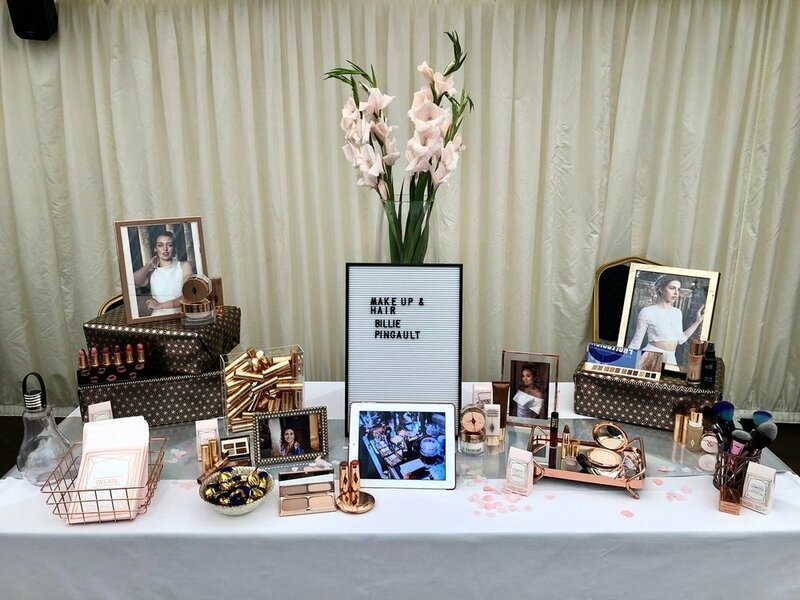 I spoke to lots of lovely brides at the Wedding Experience wedding fair at the Hop Farm last weekend. It got me thinking about the advice I have shared with brides over the busy summer bridal season and the advice I would have liked to be able to share with all of the brides to be I met! In amongst all the stress of organsing your wedding, it's really important to find a pocket of time to take care of yourself, whether that means hiring a makeup artist and hairstylist for the day, or to help you to create a look that you will recreate on the day, or even if you are going it alone; here's five tips that should help you feel and look your best! • Trials are essential! It may cost more money, it may seem unnecessary, but it is the only way to make sure you are working with the right people and you share the right visual plan for the day. • Are you wearing white on your wedding day? Then plan your look wearing white! Colours influence each other and wearing the right tone will help you to visualise the complete look. •Remember that you want to feel like you, but the best most empowered glowing happy version. This isn't everyday, this is the best day of your life and you should feel like you look that way! If that means wearing a different shade of lipstick or your hair up then go for it! Your hair and makeup look can be like your dress, sometimes you surprise yourself! •Don't forget your body! When we get embarrassed, cold, or happy our ears often go red, and so do chests after a prosecco (or five). Pop some foundation over these areas, and a highlighter or body shimmer over high points and down the length of arms and legs so on camera everything matches. • On the day have a kind helper carry your powder, lipstick, and concealer. This is all you should need to top up during the day so you look sassy all day and night! This weekend I have been working at Wilderness festival with Charlotte Tilbury. We are having so much fun using our products in creative ways and helping people to push the boundaries of how they would usually look. So here are 5 of my favourite cruelty free products to create bold and glittery festival looks! This palette is really pigmented and has a great range of shades, it's a staple in my freelance kit! It is worth mentioning that Urban Decay are owned by L'Oréal who do test on animals, although they don't sell their products where required by law. Cruelty free beauty has some grey areas! An unusual shade from a really interesting brand! Play around with this, you can use it on the eyes too, the texture is really creamy and it's pretty long lasting for a satin lipstick. Gypsy Shrine are a stand out festival beauty brand that everybody loves! Their products are really fun and their instagram content and tutorials are really inspiring if you are stuck for ideas. Glitter needs to be stuck with something safe that won't sting around the eyes and keeps it on! This isn't the cheapest option but it works and the size is really handy for travel. Coloured mascara is a great way to introduce bright tones, Kiko makes some really fun colours and they are cheap if its something you aren't sure of. So this week we have another fave five products, and this time to create a summer beauty look that is glossy, warm and simple! This palette is AMAZING! It's versatile, compact and the colours are beautiful. There's 3 eyeshadows, including a rose gold shadow and a beautiful matte brown. You also get a bronzer/contour colour, highlight and blush; which also doubles up as eyeshadow. •Really blendable gel like formula that stays put! This shade is an unusual metallic khaki that really compliments gold tones on eyes. Use this as a subtle liner or to dial up to an intense smokey eye. If you want plump, natural looking glossy lips then you need this in your life. It's a bargain, there's loads of colours to choose from and it really works! A genuinely groundbreaking product, you can use this one little bottle as a highlight, foundation, primer, or mix to add a boost of glow to a foundation that needs it. Shade 5 is great for a tanned skin, but the shades are pretty versatile as the product buffs out to such a sheer consistency. •Finish your beautiful glowy face off with a light mist of this to secure your makeup in the sun without drying out the skin at all! It is HOT! England is having some amazing weather at the moment and I am loving it, but as a dry skin and eczema sufferer who wants to be tanned but be skin safe too, I need some help. Here are 5 products that are my absolute skin saviours. This product is one I tell everyone with dry skin about! It can be used as an everyday cleanser, overnight treatment or balm, and for me cleared up some eczema on my face. Really hydrating and soothing for dehydrated skin after a long day in the sunshine or even air conditioning! It is always always best to keep your face out of the sun! These pads can be wiped gently over your face as your last step of a nighttime routine and will build a natural looking gradual tan without drying out the skin. Often we have a lighter face than body and this should even things out without having to use foundation! This is from an amazing brand that keeps quality high and cost super low! Such a great product to boost hydration as part of your day or night routine. This is a great product to help balance an oiler skin type in the heat too. If you are feeling the heat and your makeup needs saving halfway through the day, or you just need a cool down by the pool a mist of this over the face will do the trick. Ok so think of this as your £3.99 cruelty free alternative to Elizabeth Arden Eight Hour Cream. Yes, the texture is different but this is so great for lips and dry patches. This has been so useful on set for me many times, a tiny pot of goodness! This is going to be my space to publicly ramble about all things beauty and grooming, with a big focus on cruelty free ethical beauty. My love affair with all things cruelty free began a few years ago, when I began my journey as a makeup artist, and became aware that the principles of my long running vegetarian diet could also be applied to makeup, hair and grooming products. My personal makeup bag is completely cruelty free, however my professional kit is much larger, and finding products to replace much loved and trusted products with more ethical options is more of an ongoing challenge, and one I am excited to share! Look forward to reviews on fun products and tips and tricks!